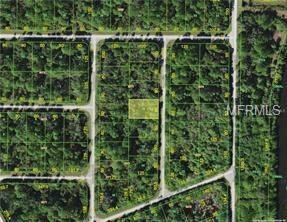 Build a brand new single family home on this lot located in Northwest Port Charlotte. Easy access to Rays Spring Training facility and 20 minutes to Gulf beaches. Shopping, restaurants and medical facilities are near by. Listing courtesy of CENTURY 21 AZTEC & ASSOCIATES. Selling Office: NON-MFRMLS OFFICE.